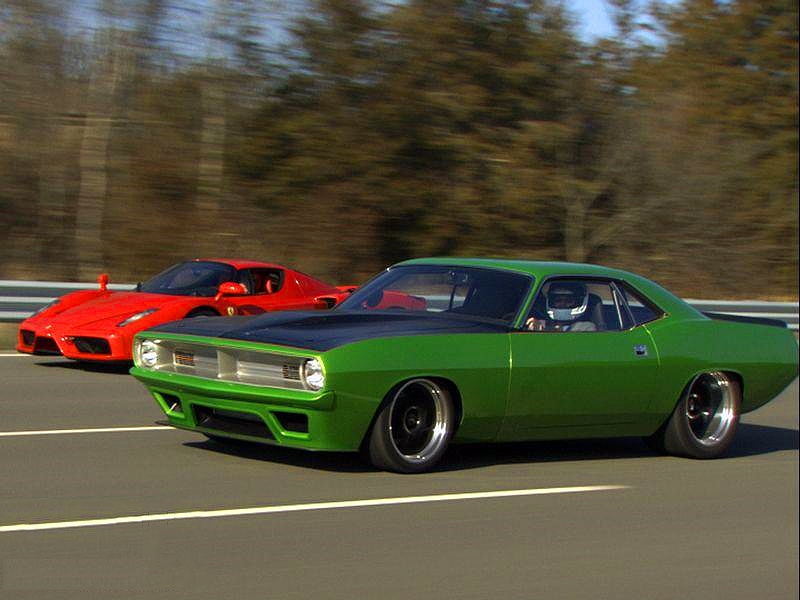 Here we have a speed battle between the two most powerful American modern muscle sedans ever made. 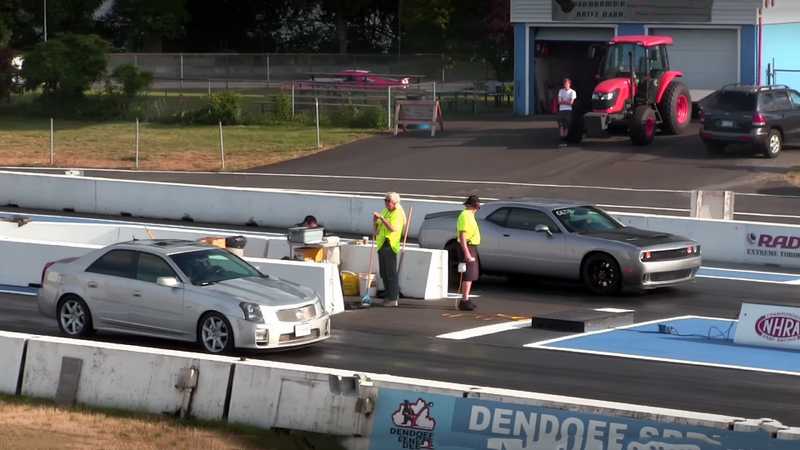 The 2015 Dodge Charger SRT HEMI Hellcat and the 2016 Cadillac CTS-V, both stock, with no nitrous or additional turbochargers. But nevertheless, both of this modern titans are already factory supercharged and have some serious horsepower under the hood. Before watching the actual street race, let’s see their factory specification. 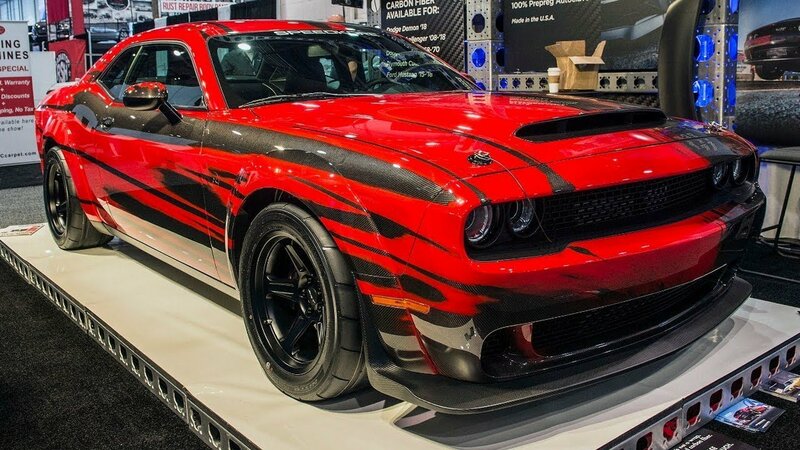 The 2015 Dodge Charger SRT HEMI Hellcat is powered by a Supercharged Chrysler’s 6.2 liter or 370 cubic-inch SRT HEMI Hellcat small-block V8 engine. Factory rated at 707 horsepower and 650 lb.-ft. of torque. 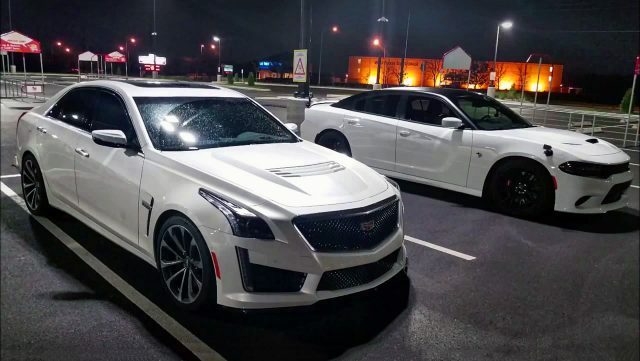 The 2016 Cadillac CTS-V under his carbon fiber hood has the Supercharged General Motors 376 cubic-inch, 6.2 liter LT4 small-block V8 engine, rated at 640 horsepower and 630 lb.-ft. of torque. Both this modern sedans have 8-speed automatic transmission with manual shifting mode, and both can achieve speeds more than 200 mph. Now let’s see the race.